Doug has grown up poor. When he meets wealthy Catherine, he thinks she is his ticket to all that he desires. He marries her for her wealth only to find that he covets one more thing, independence. What he finds in the secret compartment of his new Corvette will grant him this independence and change his and Catherine’s life forever. From the author of the riveting romantic fiction drama, Passions in Paris: Revelations of a Lost Diary, and the celebrated, 5-star award-winning romantic fiction drama, Willow’s Walk, comes the intense romantic drama, The Perils of Autumn. 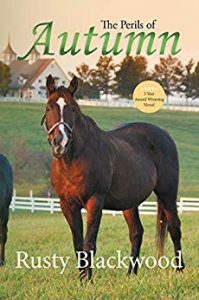 By 1970, Autumn graduates nursing school and is sent on assignment by the local hospital to care for the terminally-ill wife of middle-aged English equestrian master, Cyril Landon, owner of Landon Lawns Stables, a most successful thoroughbred racing stable located just outside Lexington, Kentucky in a posh community known as The Meadows. 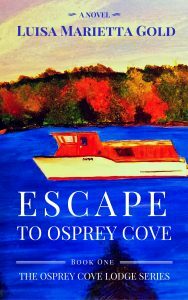 Autumn arrives in Landon Manor in time to be thrown into the fray and drama as she finds herself caught in the ongoing disruption that ensues. Can love flourish when it begins on a little white lie? 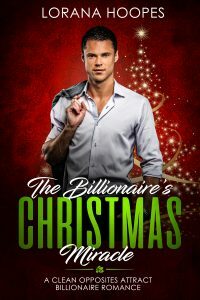 Drew Devonshire is tired of attending wealthy functions with women who only want his money, so he’s pleasantly surprised when he meets a woman at a masquerade ball who seems genuine and down to earth. The only problem is, she runs off before he finds out who she is. However, she leaves behind a bracelet and a first name. Will it be enough for him to find her? Gwen Rodgers isn’t wealthy and she doesn’t like strangers, but when her friend Carrie asks her to attend a masquerade ball in her place, she reluctantly agrees. There she meets a handsome man who piques her interest, but when she finds out that man is billionaire Drew Devonshire, she knows a relationship would never work. However, when Drew Devonshire comes looking for her, she is forced to decide whether she should tell him the truth and risk losing him or continue the charade. 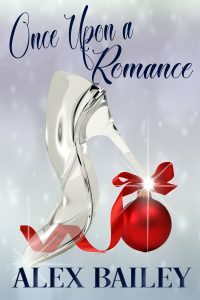 Will the two find love and their Christmas miracle? When Chloe Rylin flees New York City and her dream of becoming a Broadway performer, she returns to her hometown harboring a life-altering secret and the shame of a shattered past. Best friend Kelsie asks her to help build a house through the local Shelter the Homeless program, where Chloe meets Zack Coleman and his mischievous St. Bernard, Sammy. 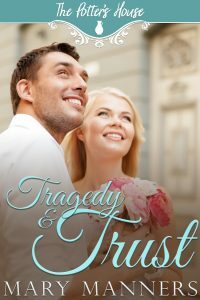 Zack is dealing with a devastating loss of his own, yet his gentleness and patience melt Chloe’s resolve never to trust, much less fall in love, again. But what will Zack think when he discovers the shame of Chloe’s past? Will he reject her, or can their fledgling love heal hurting hearts and blossom into a happily-ever-after, together? A gripping tale of love and survival, not for those who need to work the next day. Enter the Fortress of Louisbourg in 18th century colonial New France. Lovers torn apart by war. Can they survive all that the British throw at them? 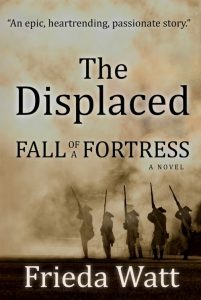 Most reviewers describe this book as a real page-turner with vivid descriptions of characters and setting.